The fact that short-term notes now yield more than long-term bonds doesn’t mean it’s 2008 all over again. And it doesn’t necessarily mean a recession is right around the corner. But it does mean this record-breaking bull market is nearing its end — that investors see trouble ahead. This creates a dilemma for investors: How can you take advantage of late-stage bull market gains while also preparing your portfolio for an eventual downturn? History tells us that one particular sector of the stock market has done incredibly well in late-stage bull markets like this one. It has also held up relatively well in bear markets and periods of volatility. I’m talking about health care stocks. There has scarcely ever been a better time to buy them. 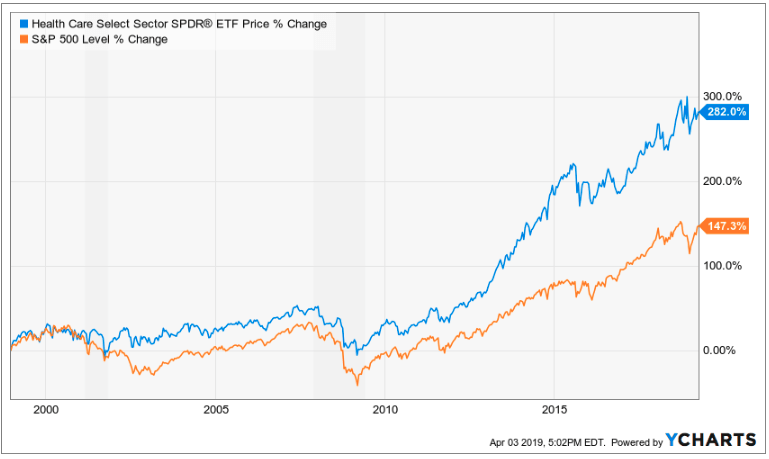 Why Do Health Care Stocks Outperform in Late-Stage Bull Markets? If you Google the question in the subheading above, you’ll find talking heads from CNBC, MarketWatch, and other mainstream financial publishers touting the “defensive nature” of the health care sector. But what does that mean? What are health care stocks defending, and what are they defending it against? The answer to the first question — what are they defending — is high gross profit margins. Data compiled from quarterly earnings reports show that the health care sector generally earns between 30% and 60% in gross profits on average. That puts it in the first or second quartile of profitability among all 11 market sectors. The answer to the second question — what are they defending their profit margins against — is inflation and income insecurity. Health care products and services provide textbook examples of inelastic demand, or demand that is relatively unaffected by changes in purchasing power. People don’t stop paying for health care voluntarily, no matter how much prices go up or incomes fall, because it’s a basic survival necessity like food or water. In summary, health care firms are great at defending their unusually high gross margins in the anxious economic environments of late-stage bull markets. That’s not something many other market sectors — like IT firms or consumer discretionary manufacturers — can say. But how do health care stocks fare when late-stage bull markets become full-blown bear markets? How Have Health Care Stocks Performed in Previous Bear Markets? The two most recent recessions suggest that they do pretty well, or at least not as badly as the rest of the stock market. The previous recession — the early 2000s downturn involving the dot-com bust and the 9/11 attacks — provides an even clearer example of health care sector outperformance during bad times. While the S&P 500 plunged more than 44%, the health care ETF posted modest single-digit losses. 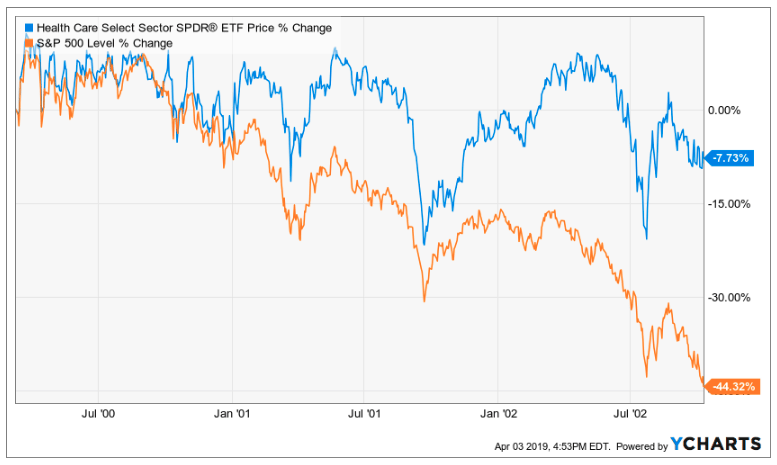 As I mentioned in my last article, fund-focused investors can easily add an array of health care stocks to their portfolios through ETFs. 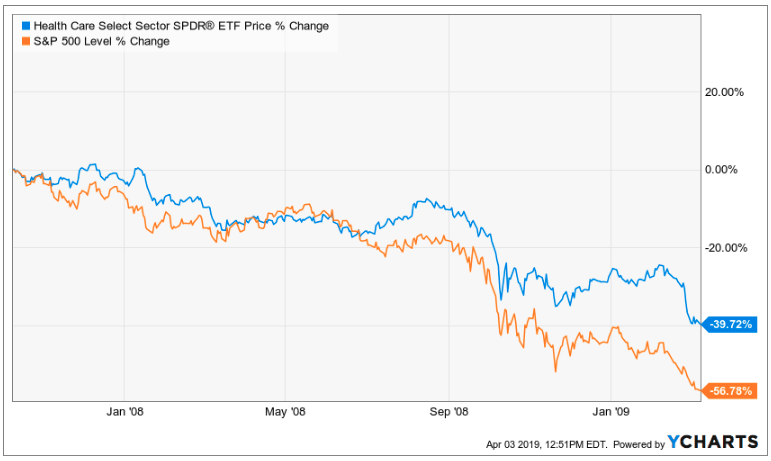 The aforementioned SPDR ETF is a popular choice, as is the iShares Global Healthcare ETF (NYSE: IXJ). But in truth, this passive, fund-based approach to health care investing leaves a lot of money on the table. Sure, it’s easy, low maintenance, and performs well enough, but it’s unlikely to net you any triple- or quadruple-digit profits in a short time frame. The biggest gains in health care investing come from stock selection, especially in the early-stage biotech industry. Trading early-stage biotech firms around crucial dates in the drug development process — like clinical trial results releases and approval decisions — can deliver massive gains in a matter of days. The only difficulty with this type of short-term health care investing is the time commitment involved. 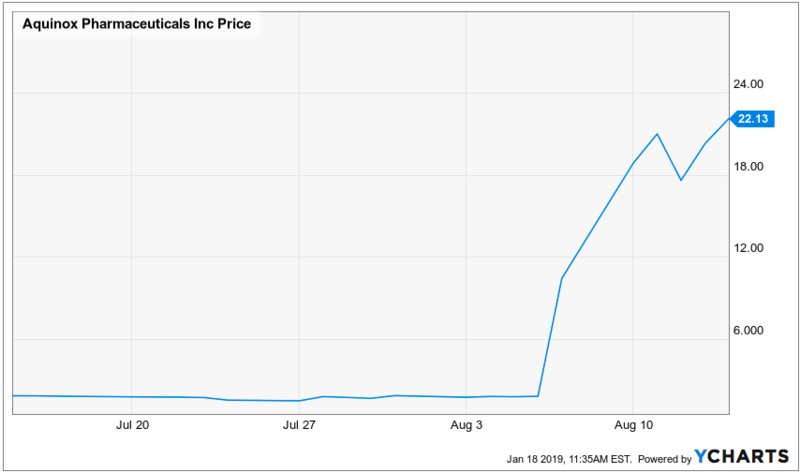 In order to capture huge profits like the one shown in the graph above, you need to continuously monitor hundreds of small-cap biotech companies as their drug candidates move through the development process. And you also need to sift through thousands of pages of FDA memos, corporate communiqués, and clinical trial data. That’s where Wealth Daily editor and Topline Trader founder Jason Stutman comes in. Over the last few years, he’s built a network of hundreds of biotech experts — including doctors, scientists, and industry veterans — to help him with this labor-intensive monitoring process. These experts have taught him how to spot huge biotech stock catalyst dates well before they happen. 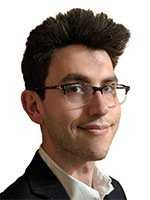 And in his upcoming Topline Trader Summit, he’ll pass that knowledge on to you — for free. Registration opens in just a few days. Stay tuned for your chance to sign up.